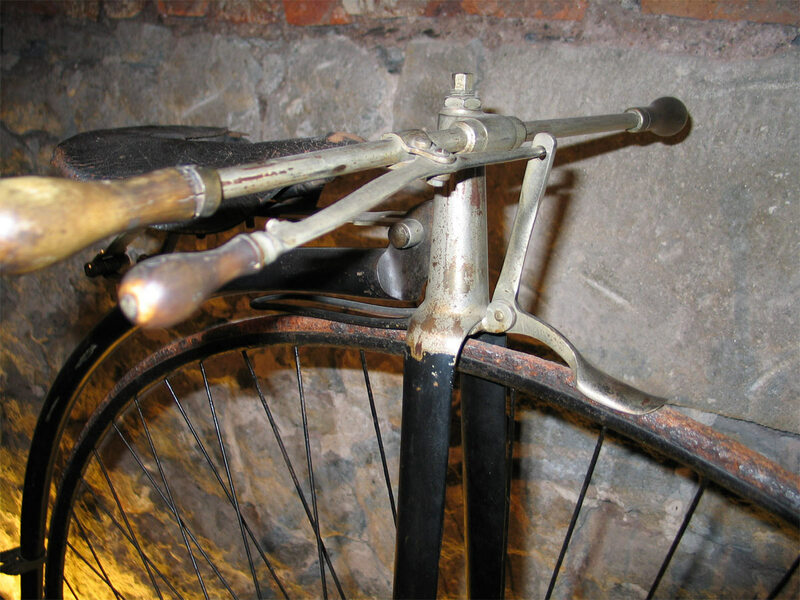 The American Elias Howe invented the sewing machine, but in their Glasgow works (UK) they also produced bicycles. 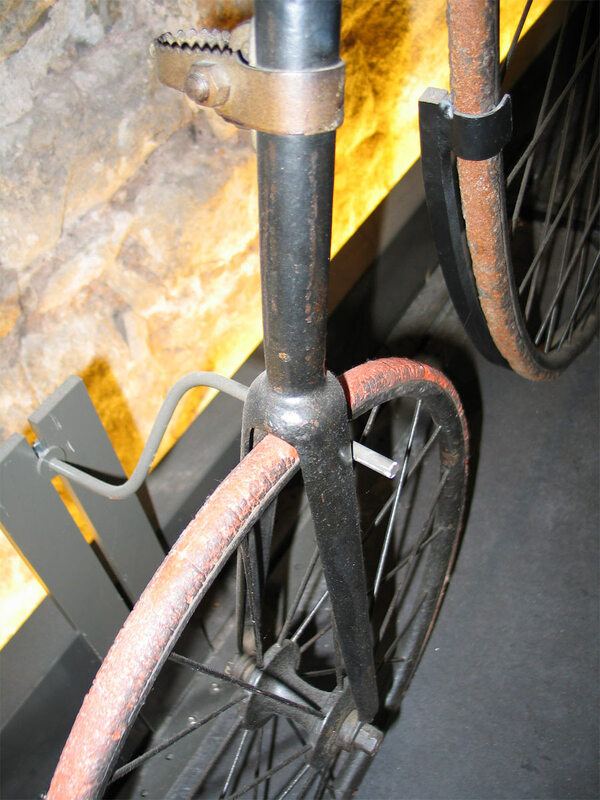 I own one myself, a 54 inch penny farthing built around 1885. 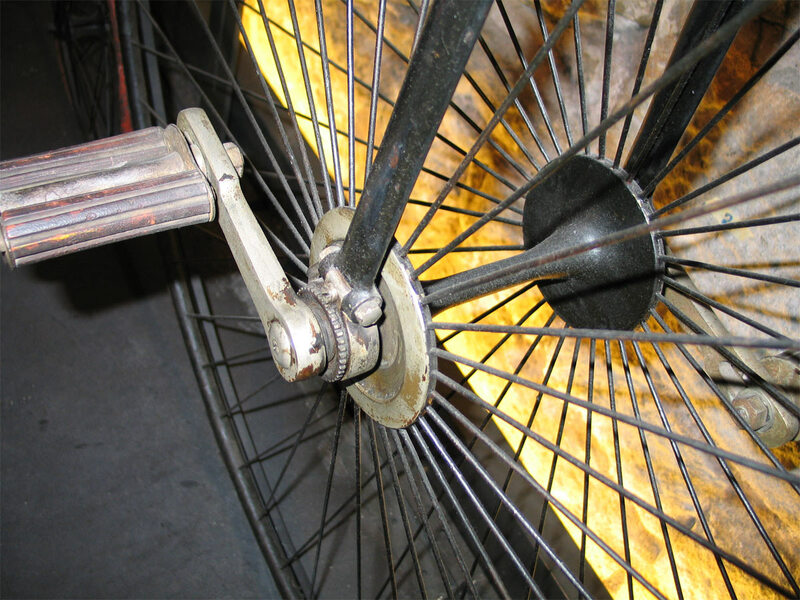 Howe made a full range of penny farthings and after 1886 also safety bicycles, often under the name ‘The New Howe’. 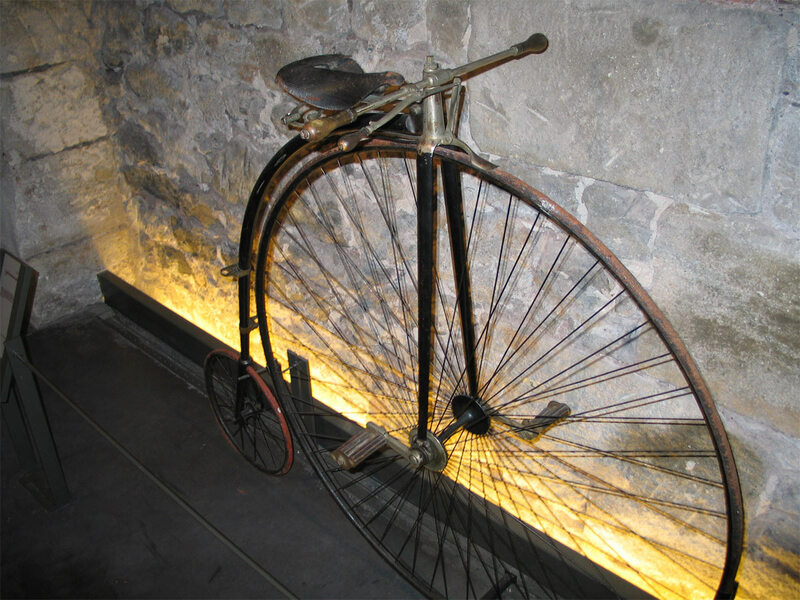 Their 1888 French catalog lists among others also a racer and a tangent spoked luxury model (surprisingly called the Spider, which normally refers to radial spokes). The model you see here is in the Musee d' Art et d' Industrie in St. Etienne, France. 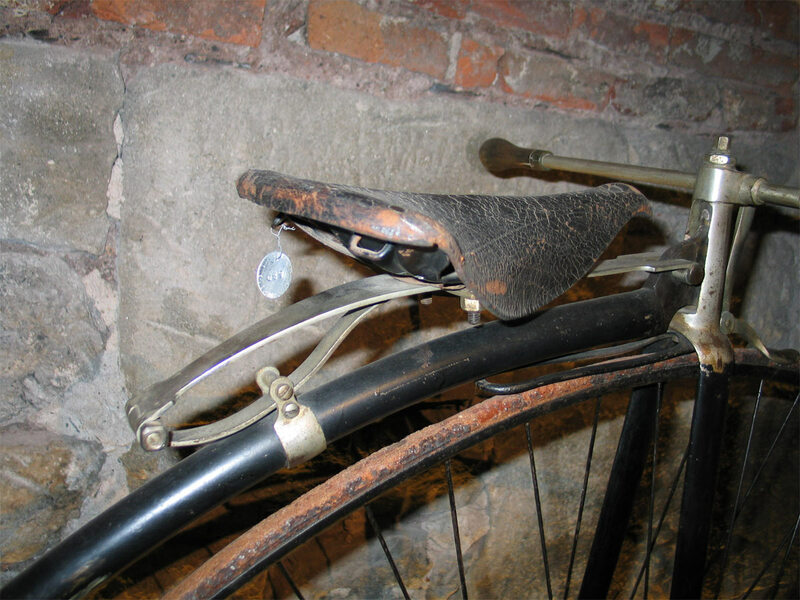 It has some unique features: hourglass shaped front and rear hubs and a characteristic spring, which seems to be a Howe-patent. On one of the pictures you see a detail of this spring (on another bicycle) with original inspcription. 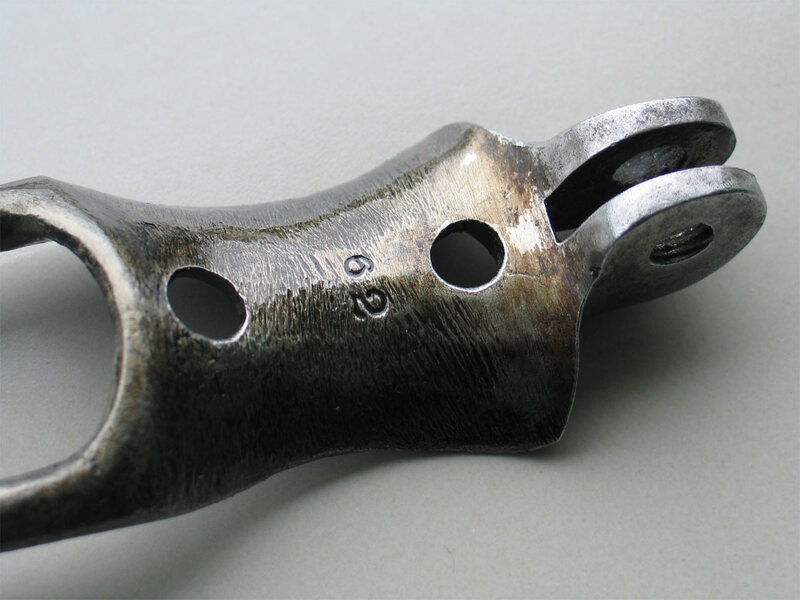 According to an old catalogue, this 'double-action' spring was used on all 1884-models. In that year you could buy the Howe with single ball bearings from Bown Aeolus (like the bike in the pictures) but also with Howe patented double ball bearings. Some Howe bicycles have an inscription on the steering head: THMCo. Some have their serial number inscripted there. 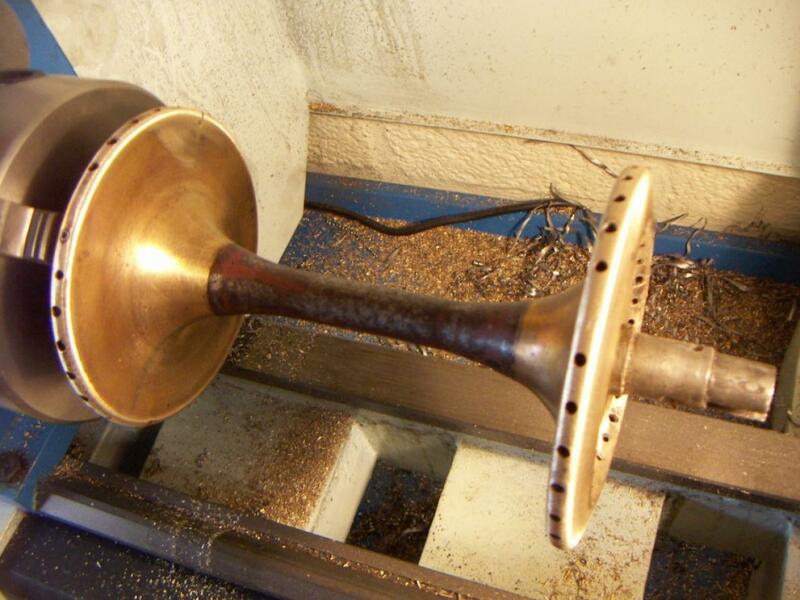 The Bown Aeolus ball bearings that I have seen on Howes are sometimes with, other times without inscription. 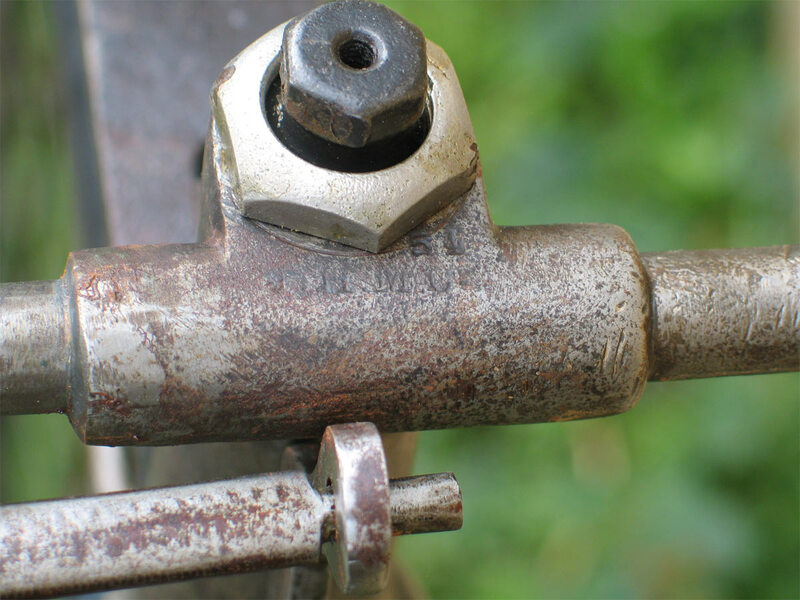 Some bicycles have a serial number on top of the handlebars, other (like mine) haven't got any serial number, just parts numbers, like '62'. 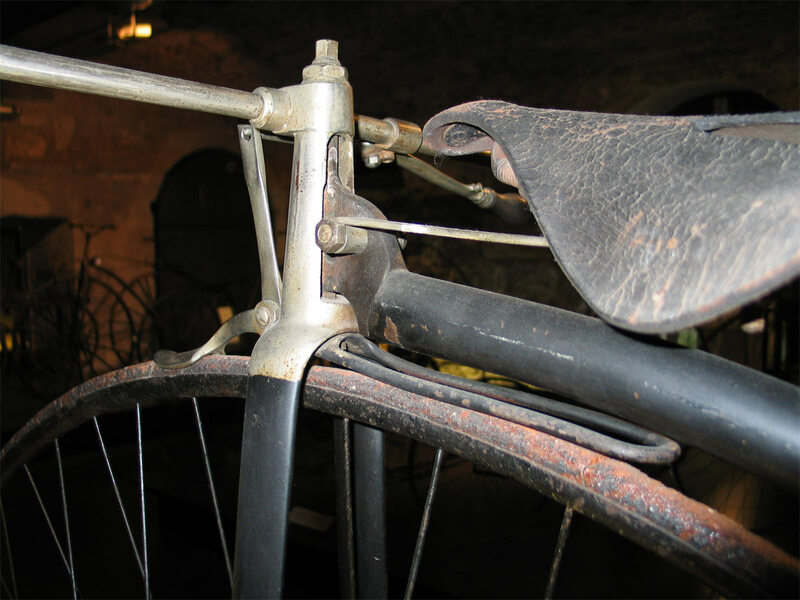 In France I know of a Howe exactly like the one in de St. Etienne-museum, that carries the number 2822 inscripted on top of the handlebars. 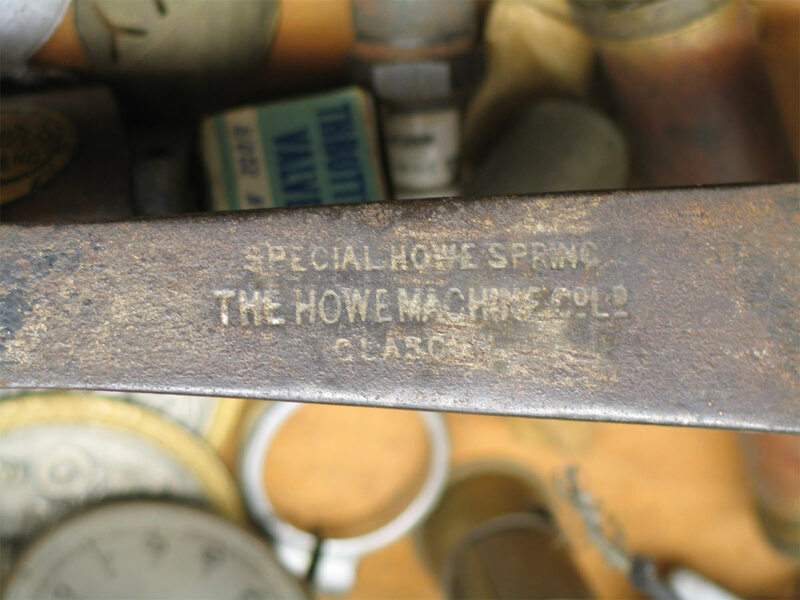 There are not many similarities with the pre-1883 Howe models. They have the same brake spoon and pant guard as the newer models, all other details are different.